Many soulcrushing work commutes in 2016 were spent listening to Decembre Noir’s “Forsaken Earth”. The band’s aggressive take on death/doom metal really appeals to me, especially in darker moments. Decembre Noir is not afraid to leave the sometimes tender and stale nature of the genre for bursts of blastbeats and aggressive chorus hooks. 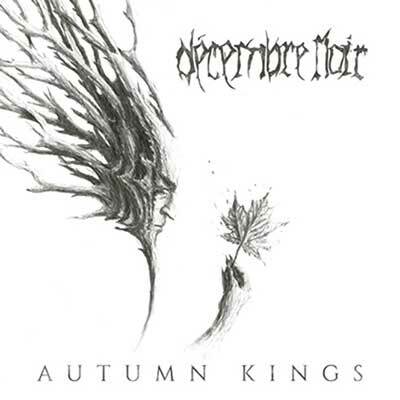 This album, “Autumn Kings”, is the follow-up to my old commute companion. It’s immediately noticeable that the band hasn’t changed that much. The first two songs rely on heavy, well-constructed guitar chugs and abrasive extreme vocals. The mood of the music is pitch black. It’s certainly the Decembre Noir I know and enjoy. The production is very good and focuses on creating a wall of rhythm guitars and growls. Decembre Noir has always been a very raw death/doom band for me, but there are also signs of more subtle melancholy. “Barriers” takes a different turn, introducing a taste of clean vocals. These are full of emotion and provide a good counterpart to the aggressive side of the band. A very smart musical move. The growls and screams are solid, aggressive and well-performed. There’s a really nice punch to the singer’s extreme vocals. Decembre Noir often feels like the street thugs of death/doom metal, considering the dynamic chugging and aggressive bursts. Overall, there’s more melody and emotion on this one than the previous album. The new side displayed in “Barriers” is definitely something that they could build on. One thing I don’t usually notice is the drumming, but on “Autumn Kings” I really do. There are plenty of small details and fills, often in places where the guitars are simple. It really helps the music as a whole. “Dress.Code.Black” starts out with a marching drum beat that reminds me of my Italian doom favorites The Foreshadowing. It’s also cool to hear that the drummer is not afraid to blast away, death/doom metal genre tag aside. One complaint I do have is that the album is overlong. It clocks in at 69 minutes. I don’t think most doom metal fans will mind, but I rarely listen to albums that are over 60 minutes. The last songs also feel slightly less intense than the other six in the tracklist. I’m not sure if it’s the quality of the tracks or just the long running time. I think the 50 minute running time from “Forsaken Earth” would have been enough. Long running time aside, this is a quality album that’s on par with “Forsaken Earth”. 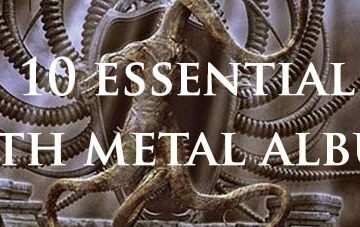 I’m expecting most fans of death/doom metal to enjoy this. I certainly am!